"From my very first phone call, my experience with Shimmering Ivory was absolutely perfect, none of the other seven shops i visited could compare! Sian is so lovely and very knowledgeable, she took me through every detail of material options and dress styles to suit my body shape while listening intently to all my ideas. 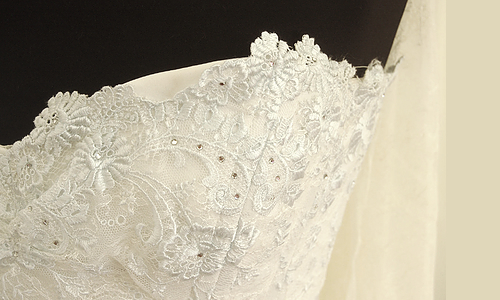 Alterations, attention to detail, nothing was too much hassle. You are also given an honest opinion, something I valued. Sian's background in lingerie was an extra bonus as i was measured and every inch of material was there to support my shape. I cannot recommend Shimmering Ivory highly enough. I shall send alot of my friends in her direction. Thank you so much, diolch o galon!" "When I turned to see my wife walking down the isle all I could think was "wow". Also, during the months leading up to the wedding day my wife was completely relaxed (most of the time!?) and I know a lot of that was due to Sian's expertise making her feel looked after and confident so diolch Sian!!" Just a note to say thank you SO VERY MUCH for making my PERFECT dress that had been in the back of my mind for many a year and you made it a beautiful reality. It was so lovely of you to be there on the day. I felt incredibly calm right up until the last minute as I just felt in the very safe hands of three professionals in you, Mina and Chloe, so thank you again for those recommendations. I hope it's not a bad thing to say but I did actually feel beautiful all afternoon, thanks to the three of you! 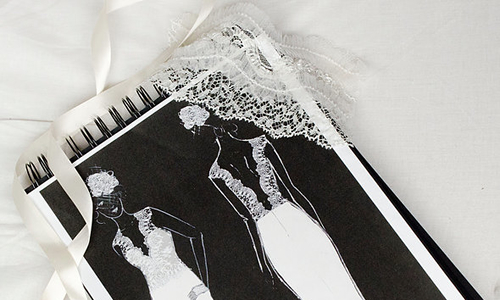 "I just love, love, love my wedding dress! 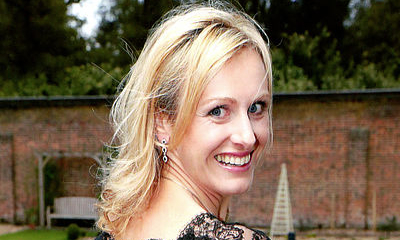 Sian Hughes Cooke is simply amazing and has filled me with confidence throughout the process of designing my dress. I have felt completely at ease and in such safe hands. Sian’s creativeness shines through, she is a true perfectionist, with great attention to detail. Her talent is clear to see, she know the difference the slightest tweak will make to ensure the dress is an absolutely perfect fit. I honestly couldn't be any happier with my dress, it totally exceeds my expectations and I can’t wait to wear it (although I will miss coming to see you!). Thank you so much Sian!!" I feel so fortunate that I found Sian. She is stylish, creative and passionate about what she does. And a total delight to work with too. I was preparing for my winter wedding in Australia and had not seen any dresses I liked in the shops or on-line. Sian made me the most beautiful dress which was exceptionally well tailored. It fitted me perfectly and was in a classic style which I like best. She also helped me piece the whole outfit together, made me a great fur neck wrap and even decorated my shoes with lace! These were all her ideas and suggestions, and they were beautifully finished by hand. My outfit attracted many genuine compliments and I think these belong to Sian, for her flare and excellent taste! Thank you Sian for being with me throughout the important preparations for my wedding and for helping to make it the most special day of my life. which I think was a huge compliment to you on your creation and tailoring! Thank you for your wonderful attention to detail and your splendid advice on the whole outfit and how it might all be fitted together. The shoes also were remarked upon by quite a few people, not surprisingly! 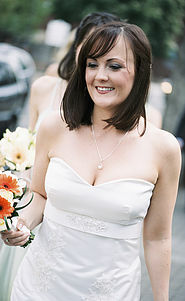 I chose Sian at Shimmering Ivory to design my wedding dress as I wanted an elegant lightweight quality silk gown for my wedding abroad - something I’d found difficult to source in the dress shops I’d visited all over London. Having built up a wealth of experience across the globe at high profile designers, it is evident Sian is very talented and knowledgeable, and could create any dress style I had in mind! She uses high quality materials which are crucial for creating the perfect look. Sian also recommended styles that would suit my body shape, and was always patient, calm and fun throughout dress fittings. From the start of the design process Sian was very receptive to the ideas I had for my dress, and we worked together to test ideas and come up with the perfect style for me. I thoroughly enjoyed working with Sian and would highly recommend her to any bride who wants a bespoke high quality wedding dress. “I used Shimmering Ivory earlier this year for the bridesmaids dresses for my wedding and would not hesitate to recommend the company. The dresses were finished to a very high standard and with Sian being very friendly and welcoming, everyone felt at ease during fittings. Both myself and my bridesmaids were delighted with the beautiful dresses - receiving many compliments on the day! " "Sian from Shimmering Ivory designed a beautiful, classic communion dress for my 8 year old daughter. She managed, using her patience, creativity and experience to produce a fantastic dress which included my daughter's ideas, whilst retaining some practicality. The dress received numerous compliments on the day and I would have no hesitation in recommending Shimmering Ivory to anyone wishing to create their own dream dress(es)." 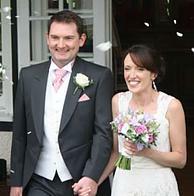 "Thank you for making the most beautiful dress and making me feel so special on our wedding day. 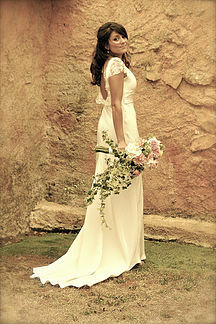 you really did such a wonderful job and I will cherish the dress and the photos forever!"